Get peace of mind that your products are protected with tamper proof labels. These customizable security labels will show evident signs of destruction if removal is attempted. 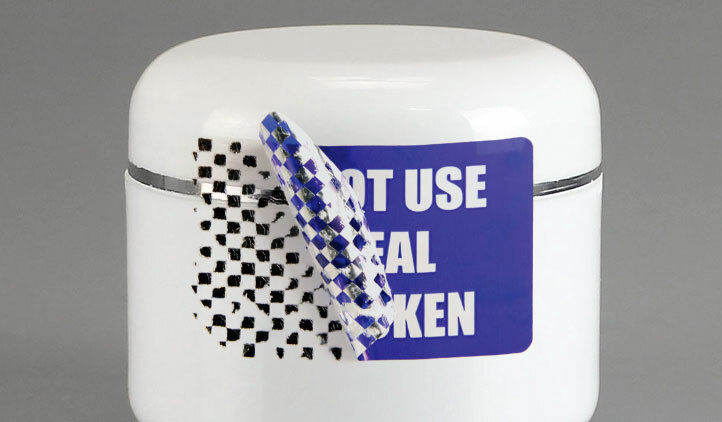 StickerYou offers several different kinds of customizable tamper evident labels. Please read below to determine which material is best for you. 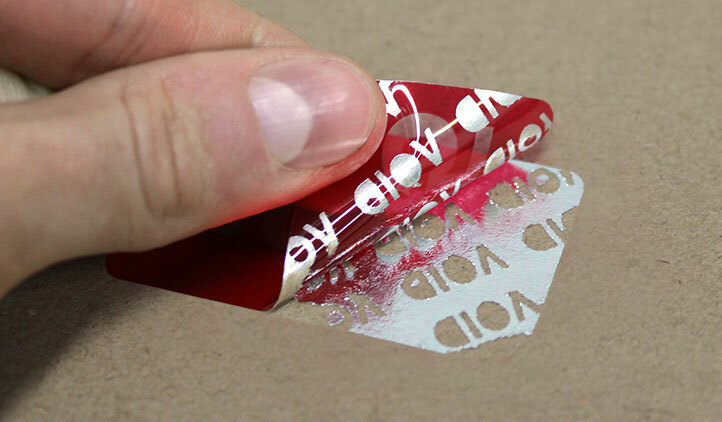 A destructible label will apply easily, but will fragment if removal is attempted, with only small portions of the label peeling up and ripping off. This makes removing the full label very difficult. This label is ideal for use as "Property Of..." stickers. 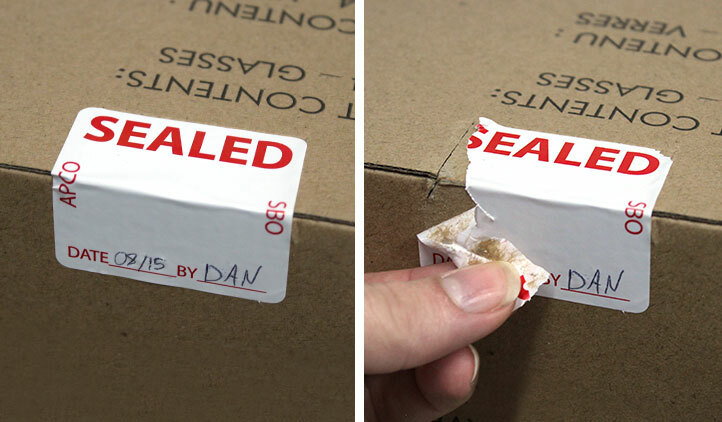 Checkered tamper evident labels leave a checkered pattern on the product surface if peeled up, making it evident that a label was removed or peeled up. Use this label to seal cosmetic, hygienic or medical packaging being sold. Void tamper evident labels will leave a "void" pattern across the surface of the product if removed. This particular label is most popular for preventing warranty fraud. 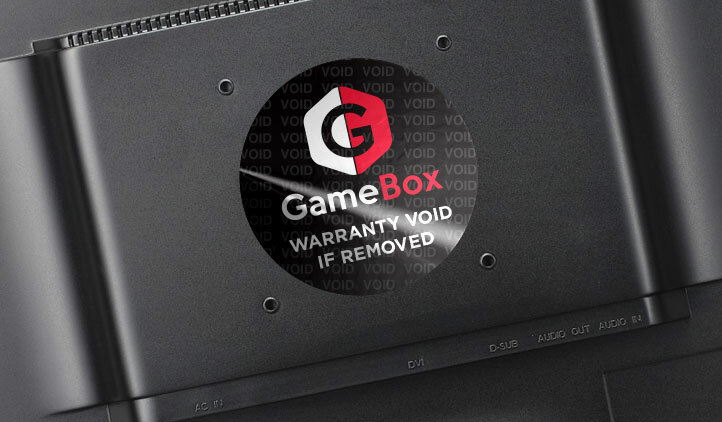 If the label is removed, the warranty is void, as clearly marked by the pattern left under the label. You put a lot of time and effort into the product itself, and then the product packaging, so why did you drop the ball on the shipping package? Here's why you need to consider upgrading your shipping package.